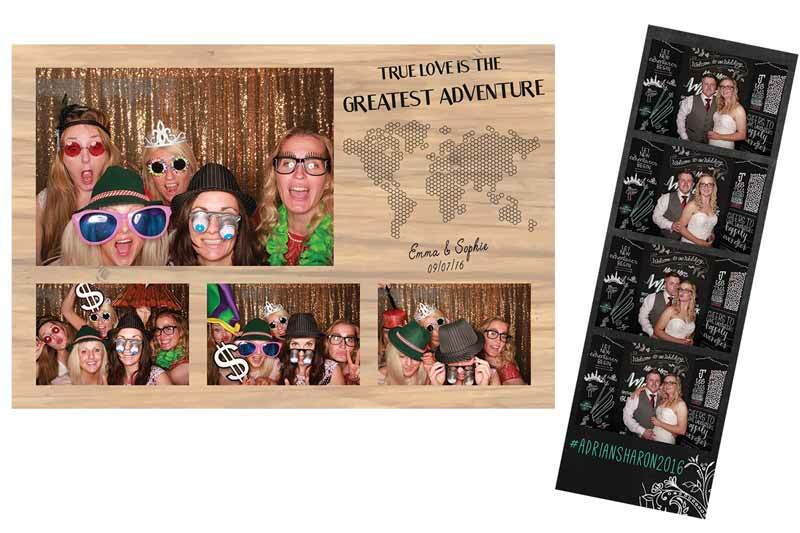 Capture the memories made and create an entertaining story with your own photo booth guest book. We provide all of the utensils so your guests can easily stick prints and write a lovely message in your guest book. When you add one of our guest books to your hire an Odd Box attendant will look after your book and encourage guests to use it. Depending on your requirements we have some various Guest Book options available. Hand made in Scotland, these quirky wooden guest books by Alfalfa Designs are a perfect addition to your wedding day or special occasion. 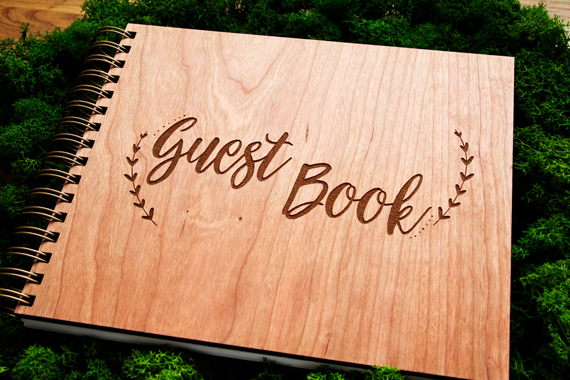 The full custom design option allows you to create your very own unique guest book. Rebecca will create some digital mock up designs based on your design requirements and the possibilities are truly endless. Whether you want to include an illustration of your venue, your very own wedding logo or something else personal to you. 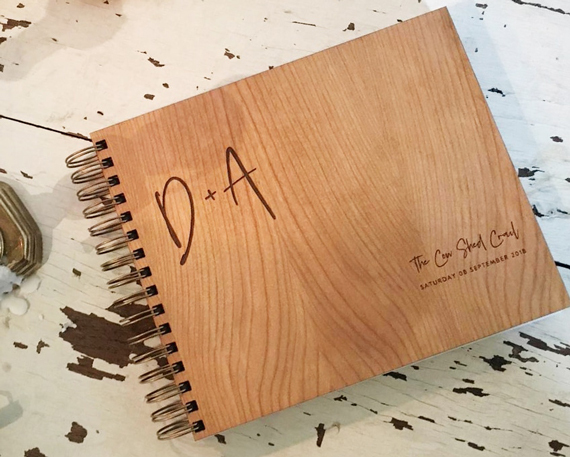 Our wooden guest books are 8 inches x 10 inches and contain 100 use-able pages. Find more examples of custom wedding guest books which we have created for past clients on our Custom Design Portfolio. Sometimes keeping it simple makes all the difference. The clean minimalist style is becoming more of a trend and is a great way to add some personalisation to your guest book. Simply let us know which text you would like to include and any particular style of fonts you prefer. Each wooden guest book is 8 inches x 10 inches and contains 100 use-able pages. 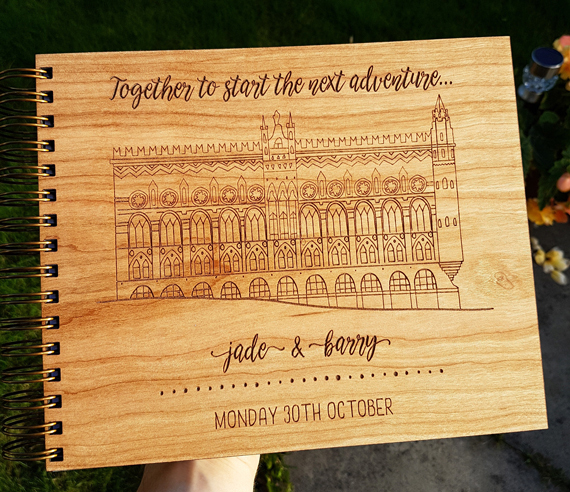 When Rebecca from Alfalfa Designs is not busy working on custom orders she likes to create standard guest book designs which you can purchase without any personalisation. You can view the full range of standard guest books at Alfalfa Designs. 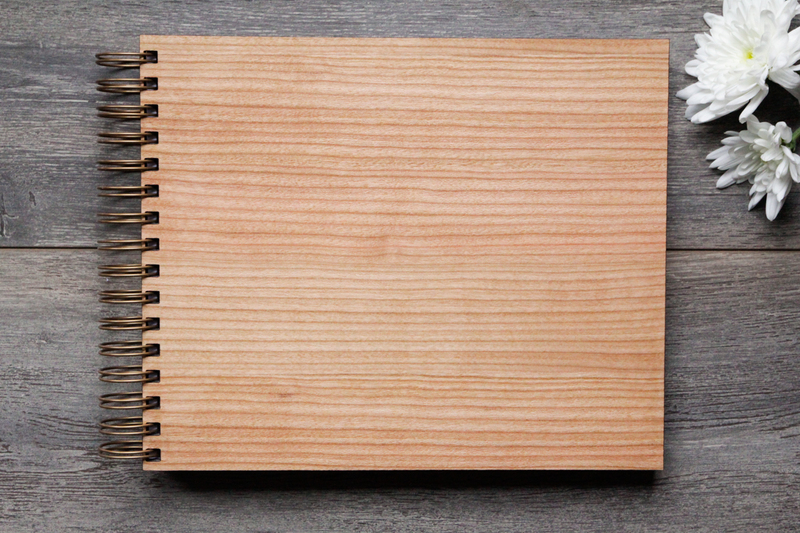 If you really want to keep things clean and simple why not choose a blank wooden guest book. Perfect for a minimal or rustic theme, there is also scope for you to add your own embellishment or personalisation if you wanted to get really creative. One of the perfect compliments to any wedding, party or corporate event; a custom print design represents the why, who and where while you focus on having fun. If you have specific ideas in mind such as a particular theme, colour scheme, texture, specific fonts or any other design elements we will take everything on board and produce some mock up designs for your approval. We will work with you every step of the way to ensure you are completely happy with the final result. View examples on our Custom Print Design Portfolio. USB drives are a very popular addition allowing you to secure your photo booth prints and single images for the future. Each USB drive contains high resolution digital files of all the printed and single images including a free timelapse video, a video montage which has been the ultimate highlight for lots of our clients. You can view a sample of what to expect from the timelapse video. Each 8GB wooden engraved USB drive is presented in an engraved presentation box and acts as a fantastic gift for your guests or as a lovely personal keepsake for you to cherish. As all images are high resolution you have the ability to print these out in large print formats, securing your images for future generations of hilarity just got a whole lot better. 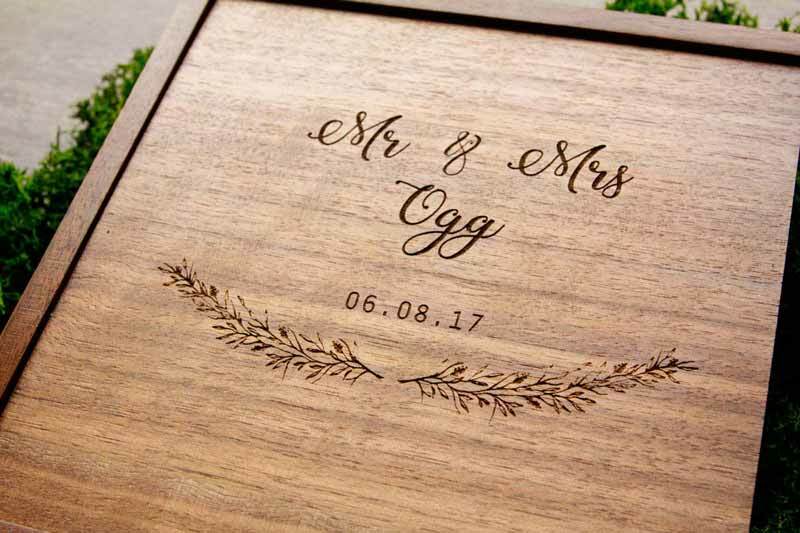 Preserve your special day with a timeless and classic Wooden Memory Box with your very own personalised engraving on the cover. 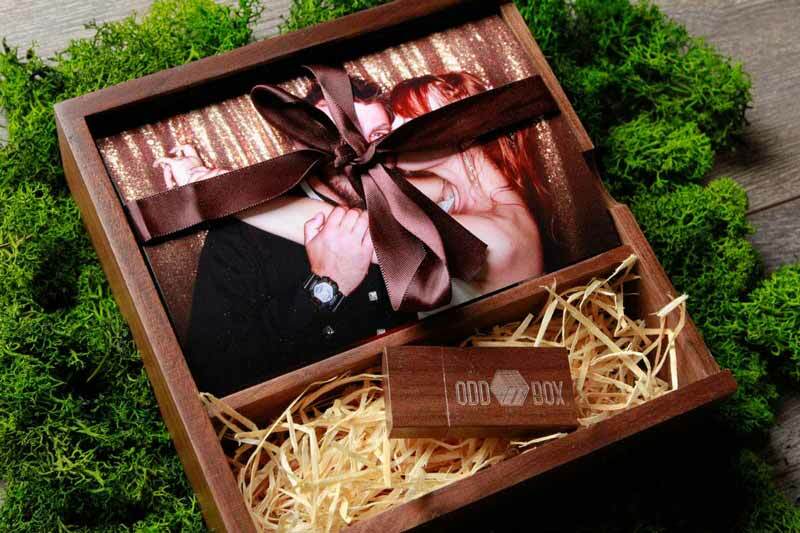 The Memory Box includes a bespoke wooden USB Drive containing high resolution digital files of all of your single and printed images. Each USB Drive also features a timelapse video of all of your guests using the photo booth. There are options to purchase the personalised Memory Box without prints if you wish to add your own prints separately. Save your memories and money with this fantastic bundle, ideal for personal use or as a gift. Planning on creating a little photo memory album or looking to collect some prints to surprise your friends and family in years to come? 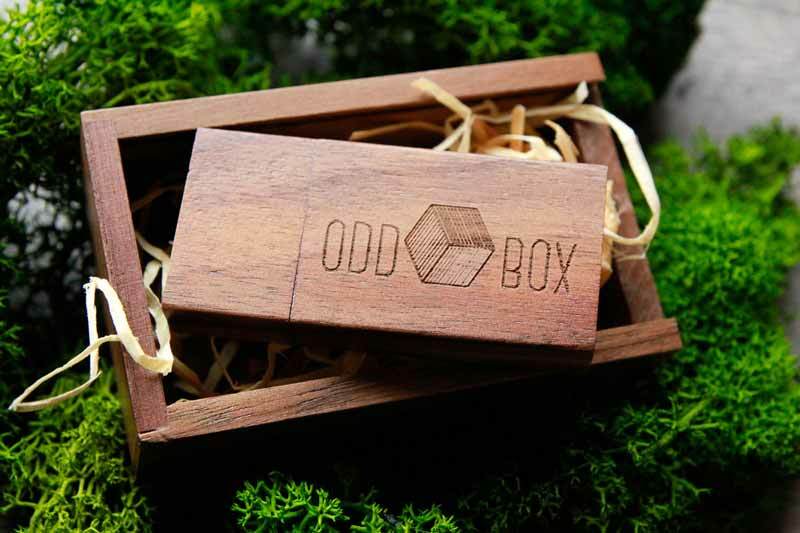 Save 50% off 6x4 inch prints by ordering them directly from Odd Box. These little prints work wonders as an addition to your wedding thank you cards, a perfect display for a personal hamper or simply framed and placed around your home or office. Immediately after your event you and your guests can gain access to your very own photo booth gallery. Using the print service by Zenfolio you can choose to download your images or purchase a variety of prints in all sorts of sizes and styles including canvas, Acrylic and Aluminium-mounted prints. Treat your guests to unlimited online downloads without the need for them to purchase anything with our "Unlimited Digital Downloads" option. Normally guests will be required to purchase digital downloads at £1 per download but you can provide unlimited digital downloads for all of your guests from as little as £100 per gallery. 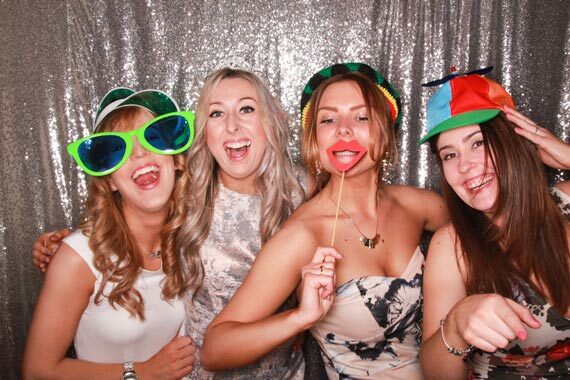 Make your photo booth hire truly one of a kind by adding some photo booth extras to enhance the experience. Best of all you can begin personalising your hire for free. With the standard hire you can choose a print layout and backdrop that suits your venue and theme for free. 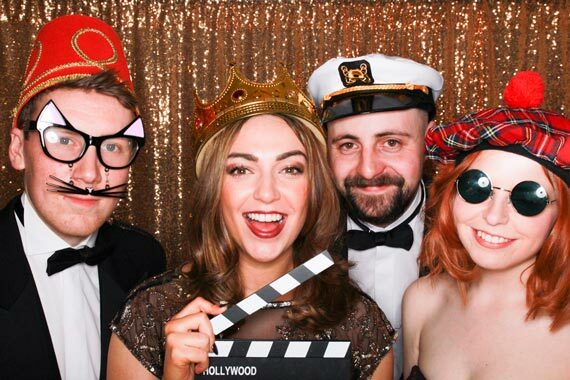 When you hire a photo booth with Odd Box you can choose a backdrop that suits you and the style of your event, that might even include using a feature wall in your venue. Our backdrops can be used at 2m wide or 1.2m wide meaning you have the option to use a backdrop even if you have a small space to work with. Want to squeeze more people into the photo? Use the backdrop at 2m wide to fit up to 10 people or more in each photo! Stand out from the crowd and use your own wedding or party venue as your backdrop for a truly unique look. If your venue is very small you can always create your own backdrop by placing decorative pieces or material onto a feature wall. Props Props Props . . . . 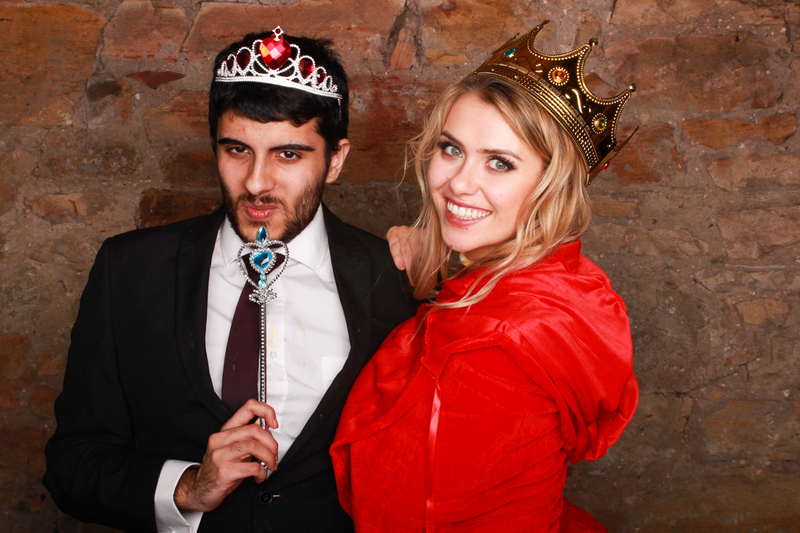 Props are a huge part of the Odd Box experience, and well who doesn't like dressing up? 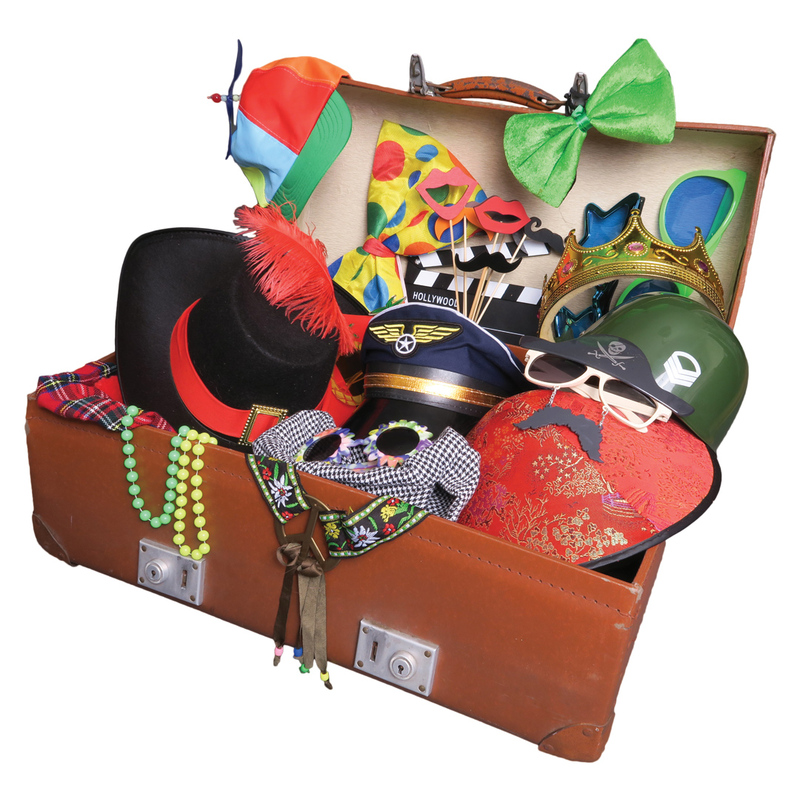 We make sure every photo booth hire includes a props box for you and your guests to have a little fancy dress. More is always better with our photo booth props so we provide a wide variety of options so you and your guests can create a huge variety of outfits. If you would like to bring your own props you are more than welcome too. If you would prefer an event without any props we are more than happy to accommodate, we want you and your guests to have the best experience possible. 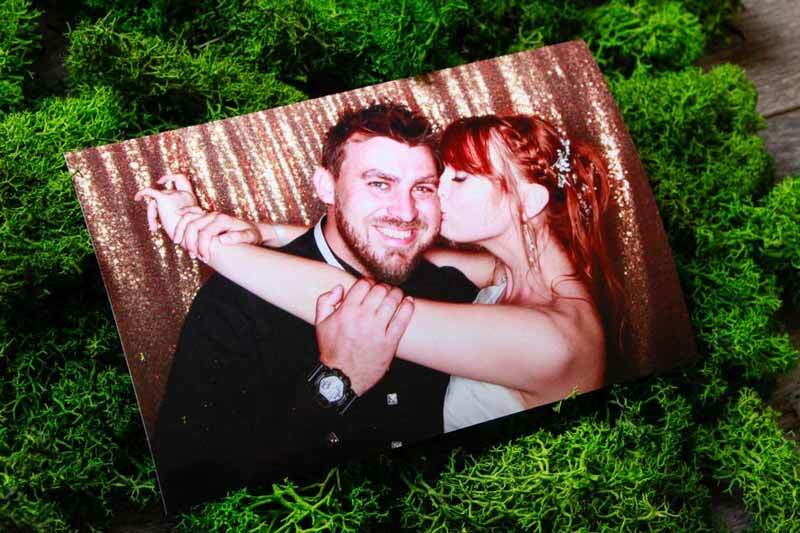 Our design team can suggest a variety of ways to personalise your photo booth hire to incorporate any given theme or style for your wedding, party or special event. Make it your own, after all it's your one big opportunity. Scotland, Northern England, Edinburgh, Glasgow, Ayrshire, Stirling, Falkirk, Aberdeen, Fife, Perth, Dundee, St Andrews, Inverness, Scottish Borders, Carlisle.